The Human rights group in a statement signed on Sunday by its deputy director, Timothy Adewale, said the electoral body has failed to ‘do something’ about the allegations of vote buying by both the All Progressives Congress (APC) and the Peoples Democratic Party (PDP) during recent governorship election in Ekiti State. They are also seeking collaboration with the Independent Corrupt Practices and Other Related Offences Commission (ICPC) and the Economic and Financial Crimes Commission (EFCC) to commence prosecution of suspected vote buyers. 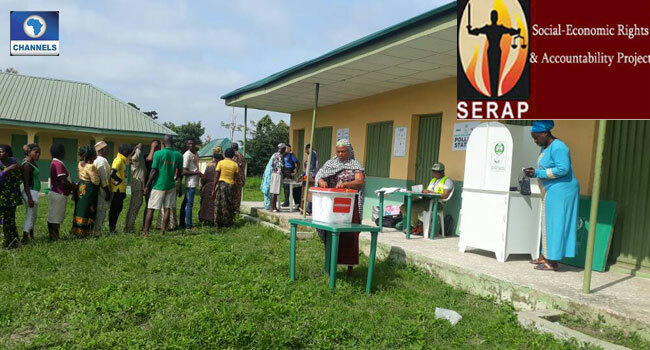 SERAP said the court action was necessary after the electoral body noted that it had powers to prosecute alleged vote buyers but lacked the powers to arrest and investigate the suspects.